Tim Ferriss, Angel Investor. Bestselling Author. Innovative Speaker. Self-Proclaimed Human Guinea Pig. 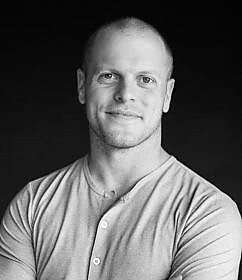 Tim Ferriss is a blogger, entrepreneur, and bestselling author. He is listed as #6 in the “Top 20 Angel Investor” rankings for 2014, and Newsweek calls him “the world’s best guinea pig,” which he takes as a compliment. His podcast, The Tim Ferriss Show — focused on deconstructing world-class performers — is often ranked #1 across all of iTunes (also selected for “Best of iTunes” three years running) and has exceeded 150,000,000 downloads. Ferriss’s blog is one of Inc. Magazine’s “19 Blogs You Should Bookmark Right Now“, and it has been ranked #1 on the Top 150 Management and Leadership Blogs list, based on Google PageRank, Alexa traffic ranking, Bing results, PostRank, and more. Ferriss’s Twitter account was selected by Mashable as one of “5 Must-Follow Twitter Accounts for Entrepreneurs,” a list including Richard Branson, Mark Cuban, Marissa Mayer, and Jack Dorsey. Feriss has also been featured by more than 100 media outlets–including The New York Times, The Economist, Late Night with Jimmy Fallon, TIME, Forbes, Fortune, CNN, and CBS–and was a popular guest lecturer at Princeton University from 2003-2013, where he discussed entrepreneurship as a tool for world change and ideal lifestyle design. He also serves on the advisory board of DonorsChoose.org, an educational non-profit and the first charity to make the Fast Company list of 50 Most Innovative Companies in the World. Feriss has been invited to speak at some of the world’s most innovative organizations, including Google, MIT, Harvard Business School, Nike, Facebook, The Central Intelligence Agency (CIA), Microsoft, Palantir, Nielsen, Princeton University, and the Stanford Graduate School of Business. He has also been invited to keynote at dozens of summits and events, including TED, The EG, E-Tech, SXSW, LeWeb, and the Web 2.0 Exposition, where he shared the stage with figures like Eric Schmidt, Chairman of the Board of Google, and Jeff Bezos, founder and CEO of Amazon.